If you were wondering whether Florence could be seen from space or not, now you know. Florence, even from space is quite prominent. Alexander Gerst an astronaut from Germany currently on the International Space Station has shared a few photos of Florence from space on his twitter. In his tweet, he warns us all to be aware. Gerst has shared several other photos and it seems is not the only one posting with a view from space. Ricky Arnold who also lives on the ISS has also taken and released many photos of Florence himself. They have documented many parts of the progress of this terrifying storm. The more you look at these images the more ‘real’ this danger feels. Sure, many of us have not been taking it seriously but we all should be. Below you will find some of these amazing images as well as a video NASA recently uploaded (sped up, of course) of their passing the storm from above. While many people will not think much of these images they are a point of view that is crucial. 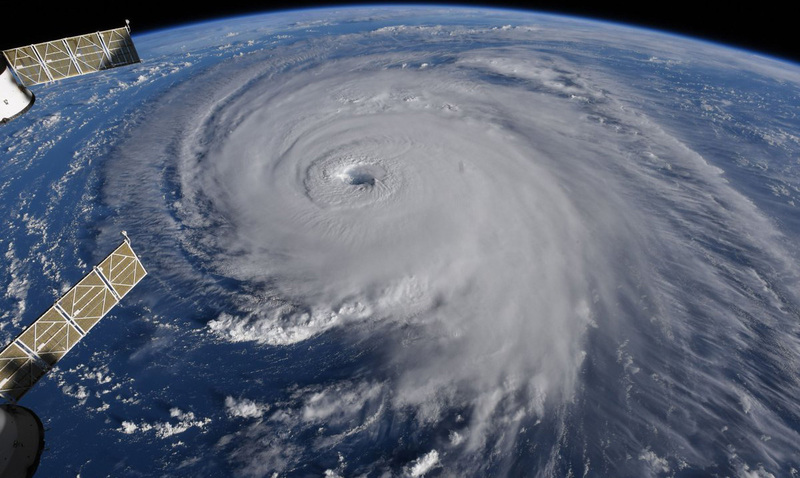 Hurricane Florence is going to be something that does more damage than we are prepared for. While Florence has weakened a bit that doesn’t mean it will not change lives. Florence is expected to hover over the Carolinas through Saturday and with that rainfall like nothing before will come. Actual landfall, when the center of the eye reaches land is said to be Friday at the earliest, please keep all who will be affected in your thoughts.